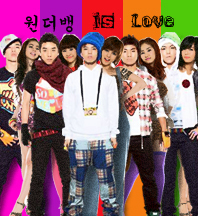 This page will list down fanfics featuring WonderBang, in general. Remember, do take the time to thank the respective authors for their hard work if you choose to read any of the fics!
. : Just Another Wonderbang :. .·´¯`·.¸☂ Winter Of A Burning Heart ☂¸.·´¯`·. You should TOTALLY read Kill or be Killed – Dead End by Katvangsta. Its about gangs, killing, and more! Kind of rated PG 13 for violence and mature language. But other than that the story is the BEST and I mean the BEST! Theres this fic I found in soompi, goes by the name TWO WORLDS. It tells about them starring in a movie, 3 chapters been out so far. I find it pretty interesting, how this gonna develope. Feel free to check it out! @ wonderbangfanboy >> Do you by chance have the link to that fic? which one is suntae ff? Omy kill or be killed iss uber awesome!!! I dont have the link but its on winglin and its already completed. Omyg please toobinluv find that fanfic. finally realizing has a short sequel but i forgot the title. The writer is tangerine3. kisses and bites is a good story…..i’ll recommend this one…you can find it in soompi..
this story is about vampires being inlove to humans..ye eun,sohee and gd are the ones who are human..while the rest is vampires…. im kyoz of soompi..i really love that fanfic….i cried on the ending…haha….u should do more fanfics about toobin…. Hey, I came across this fic in soompi. Main characters seem to be SunTae. With some minor roles. The fics name is ‘Why Did You Leave Me’. 3Chapters out so far. i want ye eun and G-dragon will be the PARTNER ! GO ye eun ! your so beautiful !